Using current research about children’s development and learning, HeartPrints has designed an early learning program that reflects the principles and guidelines established by the National Association for the Education of Young Children. Based on a developmental approach, the curriculum focuses on the whole child and fosters social, emotional, cognitive, physical, and aesthetic development. 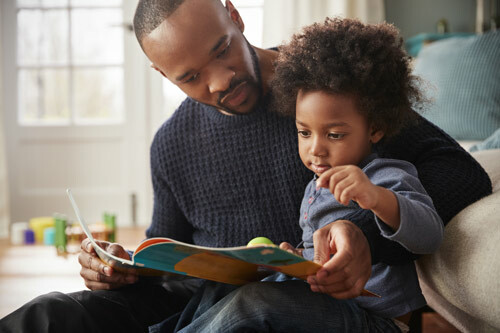 The latest research about early literacy and numeracy learning in young children guides the day-to-day curriculum experiences in the center. In the area of social and emotional development, a primary focus is to help children learn to manage their feelings and use conflict management skills with the support of a caring and nurturing environment. Sign-UP for Come Play with Me!!! Heart Prints Center for Early Education is an organization that strives for a more peaceful world by involving young children, their families and their teachers in a process of self-directed, lifelong learning which will encourage young children to think clearly and creatively, to discover cultural and aesthetic values, to respond sensitively to others, to manage conflict respectfully, and to recognize they are members of the worldwide community. As many of you know, I love my job. The staff and students inspire me daily. As I am sitting in my office today, 2 staff members are discussing the plans for a special Under the Sea program we are offering on Wednesdays in February. Here is the quote, “could you pick up 6 un-gutted squid, one octopus tentacle, and one closed shell clam”. “I will look into renting some scuba gear and a tank”. It doesn’t get better than that! If only I could join the class. Can’t wait to see the Marvel in their eyes. Heart Prints has been a most amazing experience for my daughter! In her two years at the school she has developed better self confidence, more responsibility for her learning and has the ability to seek answers to her questions with efficiency. The talented educators provide rigor that challenges and motivates at the same time and they are nurturing and encouraging all the while. The most impressive thing for me is the way that the teacher(s) truly know my child and that enables them to bring out her best. Our time in ‘Come Play with Me’ made the transition to Preschool seamless at two and a half years old; in fact, the only tears that were shed occurred at the end of the day when my daughter didn’t want to leave. There is something new going on at Heartprints every day from the activities set out to the carefully planned art projects to the fun sensory bins and homemade Playdoh to the holiday celebrations. The best part is that we both wake up excited to go to preschool, and for me, that is the most important! My son Noah is a Type 1 Diabetic and is diagnosed with Special Needs. Heart Prints is not your ordinary school, it is extremely special and has an amazing staff! The staff here have always nurtured the growth and development both socially and educationally of my son. Our family is so grateful to have found such a competent group of caring individual that are truly invested in each individual child that walks through their doors!